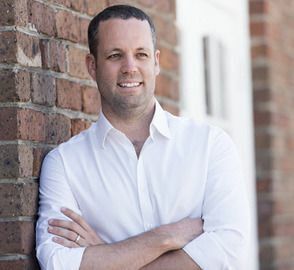 In this episode, host Neil Howe talks with Badass Aussie Entrepreneur Pete Williams on how a business can double its profits with 7 simple 10% gains. This remarkably simple system needs to be analyzed by every business owner as it is so simple to implement and see real results in very little time. Listen in as Pete goes through the whole system and see how these small changes across the board can make a massive difference to the bottom line. He forthcoming book Cadence: A Story of Fast Business Growth (2018), is the parable of a business owner and triathlon coach named JJ who left his stable job as a teacher to fulfill his dream of becoming an entrepreneur. Unfortunately, two years after opening his bike shop, Cadence, JJ finds himself in a place that is all too familiar to most business owners—struggling to stay afloat. That all changes, fast, when an athlete he coaches, in turn, teaches him how to turn the store’s profitability around with seven key “10% Wins”. Pete’s companies include Infiniti Telecommunications, SimplyHeadsets.com.au, SpringCom Telecommunications, and Preneur Group - an advisory-consulting firm that guides business owners through the process of increasing profits, margins and other key indicators by using the 7 Levers approach to business growth.